THE European Parliament has signed off on new common EU banking rules designed to try to avoid a repeat of the banking and financial crisis. It is hoped the reforms will mean failing banks can be shut down before they become a major threat to the financial system, and without the need for public money. 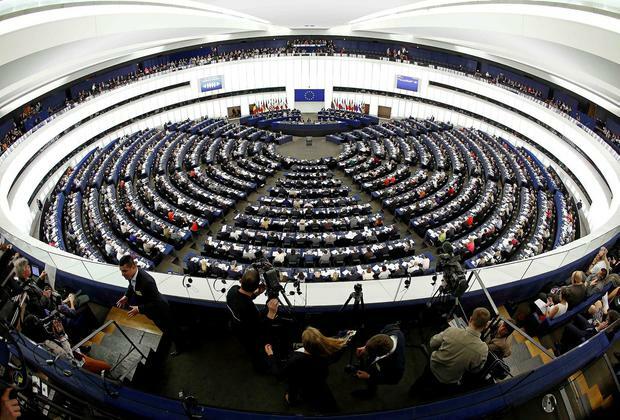 MEPs had to give their verdict on the new rules this week before the European Parliament elections in May. One of the key pillars of the so-called banking union plan comes into force in November, when the European Central Bank will take on the direct supervision of top lenders in the single currency area. Yesterday, MEPs approved two major reforms, known as the Single Resolution Mechanism and the Single Resolution Fund. Internal Markets Commissioner Michel Barnier said: "Not only does the banking union help to restore confidence in the banking sector, but it also ensures a truly European system of supervision and resolution of banks when they fail. "We remain on track for the operational work to start later this year."